BATAVIA MADRIGAL SINGERS PARTICIPATION IN THE 50thTolosa International Choral Contest – Spain, 1- 4 November 2018. With continuing hardwork and prayers from all parties Batavia Madrigal Singers conducted by Avip Priatna has successfully become one of the 4 first winners based on the very tight judgment of the jury from different countries ! The big four are Oreya from Ukraina, St. Jacobs Vokalensemble from Swedia, Kamer Koris from Latvia, and Batavia Madrigal Singers from Indonesia ! And Kamer Koris from Latvia has been chosen to compete against the other overall champions of the European Grand Prix serial qualification competitions from other cities in 2018 ( Arezzo - Italia, Varna - Bulgaria, Tours - France, Debrechen – Hungary dan Maribor – Slovenia ) in the Grand Final of the European Grand Prix for choral singing competition 2019 in Arezzo, Italy. We are very grateful for this enormous blessing ! Thank you for all of the supports that have been given. Viva Batavia Madrigal Singers ! 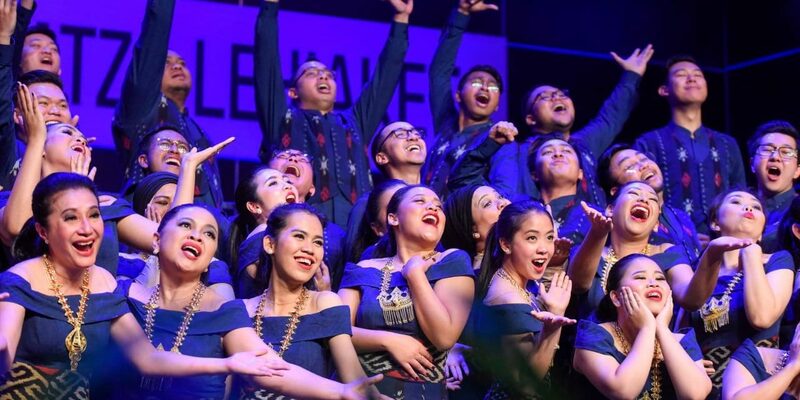 Viva the Indonesian Choirs ! Batavia Madrigal Singers ! Maju terus Paduan Suara Indonesia !